There is still a vast amount of information to discover about the bats of Cuba. Twice a year, in cooperation with Animal Experience International, we run a week-long expedition to the province of Matanzas to research local bat fauna. 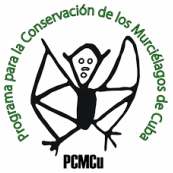 These trips are intended to train both locals and visitors in bat identification and field skills, while at the same time documenting the species and distribution of bats and caves in Cuba. If you would like further information or want to get involved then please contact us or visit Animal Experience International.